Reuter EM, Vieluf S, Koutsandreou F, Hübner L, Budde H, Godde B and Voelcker-Rehage C (2019) A non-linear relationship between selective attention and associated ERP markers across the lifespan. Front. Psychol. doi: 10.3389/fpsyg.2019.00030. Baarnholm J, Panzer S, Godde B, Verwey W (2018) Training motor sequences: effects of speed and accuracy instructions. J Motor Behav, Published online: 05 Nov 2018. Hübner, L., Godde, B., Voelcker-Rehage, C. (2018) Acute Exercise as an Intervention to Trigger Motor Performance and EEG Beta Activity in Older Adults. Neural Plasticity, Volume 2018, Article ID 4756785. Godde B, Bruns P, Wendel V, Trautmann M (2018) Effects of age and individual experiences on tactile perception over the life span in women. Acta Psychologica, 190, 135-141. Vieluf S, Mora K, Gölz C, Reuter EM, Godde B, Dellnitz M, Reinsberger C, & Voelcker-Rehage C (2018) Age- and expertise related differences of sensorimotor network dynamics during force control. Neuroscience, 388, pp. 203-213. Hunter, M., Godde, B., Olk, B. (2018) Effects of absolute luminance and luminance contrast on visual search in low mesopic environments. Attention, Perception, and Psychophysics, 80(5), 1265-1277. Hübner, L., Godde, B., Voelcker-Rehage, C. (2018) Older adults reveal enhanced task-related beta power decreases during a force modulation task. Behavioural Brain Research 345, 104-113. Godde B, Trautmann M, Erhard P, Voelcker-Rehage C (2018) Motor practice in a force modulation task in young and middle-aged adults. Journal of Electromyography and Kinesiology, 38: 224-231. Papegaaij S, Hortobágyi T, Godde B, Kaan WA, Erhard P, Voelcker-Rehage C (2017) Neural correlates of motor-cognitive dual-tasking in young and old adults. PLoS ONE, 12(12): e0189025. Oltmanns J, Richter G, Godde B, Staudinger UM (2017) Gesund altern am Band: Karrieredesign für Produktionsmitarbeiter in der Industrie. In: Hecker C, Richter G, Hinz A (Eds) Produktionsarbeit in Deutschland – mit alternden Belegschaften. pp 59-84. Erich Schmidt Verlag, Berlin. Godde B, Voelcker-Rehage C (2017) Cognitive resources necessary for motor control in older adults are reduced by walking and coordination training. Front Human Neurosci, 11:156. doi: 10.3389/fnhum.2017.00156. Vieluf S, Sleimen-Malkoun R, Voelcker-Rehage C, Jirsa V, Reuter EM, Godde B, Temprado J-J, Huys R (2017) Dynamical signatures of isometric force control as a function of age, expertise, and task constraints. J Neurophysiol, 31(2): 49-66. Khalil L, Godde B, Karim AA (2017) Transcranial cortex stimulation, neuroplasticity and learning: An experimental and computational study. Clinical Neurophysiology, 128(3), e53-54. DOI: 10.1016/j.clinph.2016.10.218. Hunter M, Godde B, Olk B (2017) Effects of Absolute Luminance and Luminance Contrast on Visual Discrimination in Low Mesopic Environments. Attention, Perception, & Psychophysics, 79(1), 243–252; DOI: 10.3758/s13414-016-1219-z. Trautmann M, Wendel V, Prinz D, Primmel B, Willging G, Nagorsen E, Suckert A, Gehm S, Brandt M, Ballay P, Godde B (2017) Not only age but also tactile perception influences the preference for cosmetic creams applied to the forearm. Int Journal Cosmetic Sci, 39(3): 344-350. DOI: 10.1111/ics.12382. Voelcker-Rehage C, Niemann C, Hübner L, Godde B, Winneke AH (2016) Benefits of Physical Activity and Fitness for Lifelong Cognitive and Motor Development – Brain and Behavior. In: Raab M, Wylleman P, Seiler R, Elbe AM, Hatzigeorgiadis A (Eds.) Sport and Exercise Psychology Research: From Theory to Practice, Elsevier. 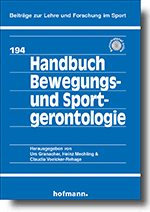 Godde B, Voelcker-Rehage C, Olk B (2016) Einführung Gerontopsychologie. Reinhardt-Verlag. Vieluf, S., Godde, B., Reuter, E., Temprado, J.-J., Voelcker-Rehage, C. (2015) Practice Effects in Bimanual Force Control: Does Age Matter? Journal of Motor Behavior, 47(1):57-72; DOI: 10.1080/00222895.2014.981499. Parianen Lesemann, F.H., Reuter, E., Godde, B. (2015) Tactile stimulation interventions: Influence of stimulation parameters on sensorimotor behavior and neurophysiological correlates in healthy and clinical samples. Neuroscience and Biobehavioral Reviews, 51:126-137; DOI:10.1016/j.neubiorev.2015.01.005. Niemann, C., Godde, B., Voelcker-Rehage, C. (2014) Exercise induced changes in basal ganglia volume and cognition in older adults. Neuroscience, http://dx.doi.org/10.1016/j.neuroscience.2014.09.033. Reuter, E., Voelcker-Rehage, C., Vieluf, S., & Godde, B. (2014). Effects of age and expertise on tactile learning in humans. European Journal of Neuroscience, 40(3), 2589–2599. DOI: 10.1111/ejn.12629. Vieluf, S., Godde, B., Reuter, E., & Voelcker-Rehage, C. (2013) Effects of age and fine motor expertise on the bilateral deficit in force initiation. Exp Brain Res, 231(1): 107-116. Voelcker-Rehage, C.; Reuter, E.; Vieluf, S.; Godde, B. (2013). Influence of age and expertise on manual dexterity in the work context – The Bremen-Hand-Study@Jacobs. In: Schlick CM, Frieling E, Wegge J (Hrsg.) Age-differentiated Work Systems. 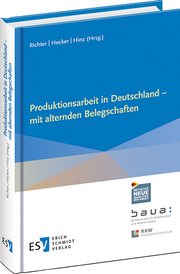 Berlin, Heidelberg: Springer-Verlag, doi: 10.1007/978-3-642-35057-3_17. Vieluf, S., Godde, B., Reuter, E., & Voelcker-Rehage, C. (2013). Age-related differences in finger force control are characterized by reduced force production. Experimental Brain Research, 224(1), 107-117. DOI: 10.1007/s00221-012-3292-4. Winneke, A.H., Godde, B., Reuter, E. M., Vieluf, S., & Voelcker-Rehage, C. (2012) The association between physical activity and attentional control in younger and older middle-aged adults: an ERP study. GeroPsych: The Journal of Gerontopsychology and Geriatric Psychiatry, 25(4), 207-221. doi: 10.1024/1662-9647/a000072. Godde B. & Lorist MM (2012). Successful aging – from individual differences to personalized interventions? Gerontologist, 52(Suppl 1), 299-299. Godde B. & Voelcker-Rehage C (2012). Coginitive resources necessary for motor control in older adults are freed up after one year of physical exercise training. Gerontologist, 52(Suppl 1), 299-299. Voelcker-Rehage C, Jeltsch A, Godde B., Staudinger U (2012). COMT polymorphisms influence the association between physical and congitive fitness in older adults. Gerontologist, 52(Suppl 1), 299-299. Dolge, K., Staudinger, U. M., Voelcker-Rehage, C., & Godde, B. (2011). Biological brain aging accounts for a reduction in the negativity bias in older adults. Journal of Psychophysiology, 25, 34-34. Glinka K & Godde B (2011) Emotionen und Altern [Emotions and Aging]. Z Med Psychol, 20(4), 159-169. Godde, B., & Voelcker-Rehage, C. (2011). High- and low-fit older adults differ in the cortical resources expended on locomotion – a motor imagery study. Journal of Psychophysiology, 25, 13-13. Staudinger UM, Godde B, Heidemeier H, Schömann K, Stamov-Rossnagel C, Voelcker-Rehage C, Voelpel S (Eds) Den demografischen Wandel meistern: Eine Frage der Passung. Ergebnisse des „demopass“ Projekts. W. Bertelsmann Verlag, Bielefeld (2011). Trautmann M, Godde B, Voelcker-Rehage C (2011) Alter und Altern im Kontext der Arbeit. In: Staudinger UM, Godde B, Heidemeier H, Kudielka BM, Schömann K, Stamov-Rossnagel C, Voelcker-Rehage C, Voelpel S (Eds), Eine Frage der Passung. Ergebnisse des „demopass“ Projekts. W. Bertelsmann Verlag, Bielefeld. Voelcker-Rehage, C., Godde, B., & Staudinger, U. M. (2011). Effects of different exercise interventions on cognitive functioning in older adults. Journal of Psychophysiology, 25, 29-29. Voelcker-Rehage, C., & Godde, B. (2010). High frequency sensory stimulation improves tactile but not motor performance in older adults. Motor Control, 14(4), 460-477. Trautmann, M., Voelcker-Rehage, C., & Godde, B. (2009). Fit between workers’ competencies and job demands as predictor for job satisfaction and productivity over the work career. Gerontologist, 49(Suppl 2), 43-43. Voelcker-Rehage, C., Godde, B., & Staudinger, U. (2009). Cardiovascular and coordination training differ in their effect on cognitive performance in older adults. Gerontologist, 49(Suppl 2), 314-314. Voelcker-Rehage, C., Godde, B., & Staudinger, U. M. (2008). Motor fitness is related to executive control processes in older adults. International Journal of Psychology, 43(3-4), 480-480. Voelcker-Rehage, C., Godde, B., & Staudinger, U. M. (2008). Motor fitness is related to cognitive performance in older adults. Journal of Sport & Exercise Psychology, 30, S36-S36. Voelcker-Rehage, C., Knop, A. F., Babanin, M., & Godde, B. (2008). Does high-frequency tactile stimulation improve manual dexterity in old adults? Journal of Sport & Exercise Psychology, 30, S11-S12. Karim, A. A., Schuler, A., Hegner, Y. L., Friedel, E., & Godde, B. (2006). Facilitating effect of 15-hz repetitive transcranial magnetic stimulation on tactile perceptual learning. The Journal of Cognitive Neuroscience, 18(9), 1577-1585. Lange, R. K., Braun, C., & Godde, B. (2006). Coordinate processing during the left-to-right hand transfer investigated by EEG. Experimental Brain Research, 168(4), 547-556. Voelcker-Rehage, C., Godde, B., & Staudinger, U. (2006). Bewegung, koerperliche und geistige mobilitaet im alter. Bundesgesundheitsblatt – Gesundheitsforschung – Gesundheitsschutz, 49(6), 558-566. Kreikemeier, K., Godde, B., Schmidt, K. F., Kaschube, M., Schnabel, M., Wolf, F., . . . Dinse, H. R. (2005). Space-time characteristics of orientation preference map (OPM) plasticity in visual cortex of adult cats. Neuro-Visions 2, , 180-181. Hodzic, A., Veit, R., Karim, A. A., Erb, M., & Godde, B. (2004). Improvement and decline in tactile discrimination behavior after cortical plasticity induced by passive tactile coactivation. Journal of Neuroscience, 24(2), 442-446. Lange, R. K., Godde, B., & Braun, C. (2004). EEG correlates of coordinate processing during intermanual transfer. Experimental Brain Research, 159(2), 161-171. Pilz, K., Veit, R., Braun, C., & Godde, B. (2004). Effects of co-activation on cortical organization and discrimination performance. [miscellaneous article]. Neuroreport, 15(17), 2669-2672. Dinse, H. R., Godde, B., Reuter, G., Cords, S. M., & Hilger, T. (2003). Auditory cortical plasticity under operation: Reorganization of auditory cortex induced by electric cochlear stimulation reveals adaptation to altered sensory input statistics. Speech Communication, 41(1), 201-219. Godde, B., Ehrhardt, J., & Braun, C. (2003). Behavioral significance of input-dependent plasticity of human somatosensory cortex. Neuroreport, 14(4), 543-546. Karim, A. A., Hodzic, A., Veit, R., & Godde, B. (2003). Reorganization of the human somatosensory cortex induced by passive tactile coactivation alters performance in spatial and temporal discrimination tasks. Journal of Psychophysiology, 17(3), 157-158. Karim, A. A., Kammer, T., Lotze, M., Hinterberger, T., Godde, B., Cohen, L., & Birbaumer, N. (2003). Effects of repetitive transcranial magnetic stimulation (rTMS) on slow cortical potentials (SCP). Suppl Clin Neurophysiol, 56:331-7, 331-337. Godde, B., Berkefeld, T., David-Jurgens, M., & Dinse, H. R. (2002). Age-related changes in primary somatosensory cortex of rats: Evidence for parallel degenerative and plastic-adaptive processes. Neuroscience and Biobehavioral Reviews, 26(7), 743-752. Braun, C., Wilms, A., Schweizer, R., Godde, B., Preissl, H., & Birbaumer, N. (2000). Activity patterns of human somatosensory cortex adapt dynamically to stimulus properties. Neuroreport, 11(13), 2977-2980. Godde, B., Stauffenberg, B., Spengler, F., & Dinse, H. R. (2000). Tactile coactivation-induced changes in spatial discrimination performance. Journal of Neuroscience, 20(4), 1597-1604. Lotze, M., Erb, M., Flor, H., Huelsmann, E., Godde, B., & Grodd, W. (2000). fMRI evaluation of somatotopic representation in human primary motor cortex. NeuroImage, 11(5), 473-481. Dinse, H. R., Godde, B., Hilger, T., Reuter, G., Cords, S. M., Lenarz, T., & Von Seelen, W. (1997). Optical imaging of cat auditory cortex cochleotopic selectivity evoked by acute electrical stimulation of a multi-channel cochlear implant. European Journal of Neuroscience, 9(1), 113-119. Dinse, H. R., Godde, B., Hilger, T., Reuter, G., Cords, S. M., Lenarz, T., & vonSeelen, W. (1996). Visualization of cat auditory cortical functional organization after electrical stimulation with a multichannel cochlear implant by means of optical imaging. Visualization in Biomedical Computing, 1131, 483-488. Godde, B., Spengler, F., & Dinse, H. R. (1996). Associative pairing of tactile stimulation induces somatosensory cortical reorganization in rats and humans. Neuroreport, 8(1), 281-285. Dinse, H. R., Godde, B., Zepka, R., Shuishi-Haupt, S., Spengler, F., & Hilger, T. (1995). Short-term functional reorganization of cortical and thalamic representations and its implication for information processing. Advances in Neurology, 73, 195-178. Godde, B., Hilger, T., Von Seelen, W., Berkefeld, T., & Dinse, H. R. (1995). Optical imaging of rat somatosensory cortex reveals representational overlap as topographic principle. Neuroreport, 7(1), 24-28. Spengler, F., Godde, B., & Dinse, H. R. (1995). Effects of ageing on topographic organization of somatosensory cortex. Neuroreport, 6(3), 469-473.